Whatever market segment IVITERA is present in, it strives to be the first to bring you your solution, or become the first to introduce a major innovation that is not available from anyone else. Discussing the selflearning.cz project offered by IVITERA not only to individuals but primarily to companies to contribute to the personal development of their employees. Selflearning.cz is an Internet-based education portal that monitors hundreds of Internet resources and publications by leading Czech experts on management, sales, marketing, human resources and also other, narrowly specific topics requested by our business users such as energy, banking, etc. For over 10 years DHL IT Services has been providing top IT services to other business branches of the Deutsche Post DHL (DPDHL) Group, continuously striving to improve the work conditions and opportunities offered to its employees including those on parental leave. The company’s colorful multicultural workforce currently comprises around 1,200 employees, prevalently in technical positions. As much as 80 % of those positions are occupied by men. There are few non-technical positions and there have been cases where employees returning from maternity leave had trouble rejoining the work process. “Being an international company, we were aware that this was not optimal and we had to do something to contribute to improve the work-life balance. That was why we came up with the idea to have an external portal that could allow our inactive employees to stay in touch. They can follow what is happening around the company, read the news, plans, changes, etc.,” says Dáša Václavíčková, who has been responsible for the company’s processes and communication towards employees on parental leave since 2013. That was why in January 2014 the company, in cooperation with IVITERA, opened the ITS Family Portal aimed specifically at employees currently on maternal or parental leave. Parents use it to receive news such as the current organization structure, expert articles, open positions within the company and many useful offers for their leisure time. “Since the portal’s inception the connection between this group of employees and their employer has obviously improved, and our statistics prove it. Our employees visit the portal, and our data and especially the feedback we get show us that this was a step in the right direction,” says Dáša Václavíčková in retrospection. “Investing in our employees, especially in their training and development maintaining their work-life balance, is a key part of our human resource development strategy. I personally think that this approach was a factor in us being awarded the Prague Employer of the Year prize in 2014 and 2015,” adds Dáda Downerová, HR director at DHL IT Services. Interviewing Jitka Schmiedová, Human Resources Director at Česká spořitelna, a.s.
HR tv interviews Jitka Schmiedová, Human Resource (HR) director at Česká spořitelna/Erste Group. 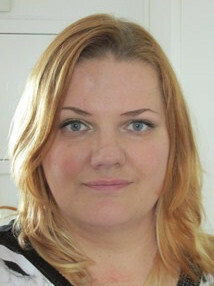 Jitka has been working in HR since 1998. 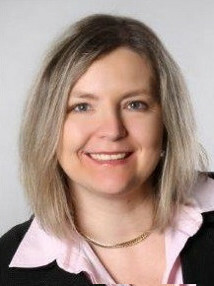 Through her career she held, among others, the positions of HR Division director at Česká spořitelna, vice-president for human resources and property at Vodafone CR, HR Department director at Všeobecná zdravotní pojišťovna or HR manager at Norsk Hydro ASA Praha, Mitsubishi Electric Automotive Czech and Accenture. 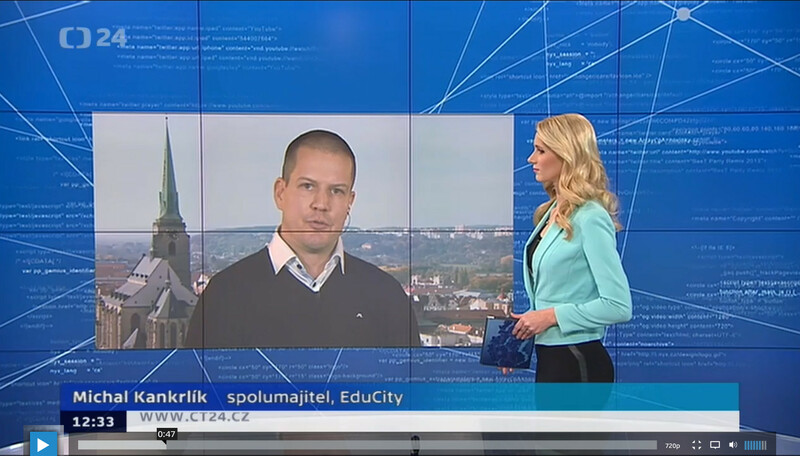 Using Selflearning and EduCity at ČEZ – interviewing RNDr. Kiril Ribarov, PhD. The advantages and the future of EduCity and electronic catalogs in professional development. Paradigm shift in training and education driven by new technologies. Using Selflearning as a valuable source of business-relevant information. Motivating employees for self-development. Advantages of using expert portals for employee self-development. Workshops, coaching and teamwork. How to educate education managers. Company development as a target of its education process. VZP has three years’ worth of experience using Selflearning for its managers. Selfleraning successfully assists employees in their own education. Selflearning saves costs, uses contemporary technologies and employee development trends. Internal development tool. EduCity as a tool that saves you effort and helps to evaluate the offer available on the education market. What do VZP and other clients value about EduCity and Selflearning? Advantages of integrating with EduCity, the largest player in the market. Time and cash savings through working with the market leader. Selflearning as a valuable tool for managers who want to develop and educate themselves. My EduCity scores. 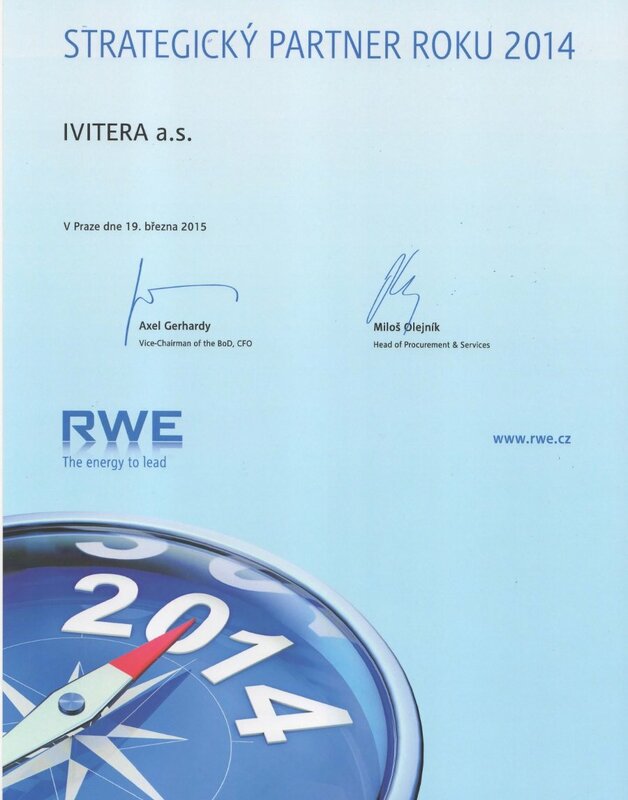 IVITERA becomes a strategic partner of RWE. On 19 March 2015 the headquarters of RWE Czech Republic in Prague hosted the second annual Contractors’ Day – a meeting of RWE's contractors nominated for the 2014 TOP Contractor awards. Our company, IVITERA, the operators of EduCity, HR News and other education portals and a traditional provider of services to RWE, has received the 2014 Strategic partner award in the non-gas category for its EduCity service. The award was received by Pavel Hofman, co-owner of the company. The best contractors are selected in four categories: gas, non-gas, work safety and pipeline construction. The awards are based on criteria covering benefits arising form the partnership, transparency, social responsibility and service quality. The awards ceremony was preceded by a full-day program, which included, among others, evaluations of the previous year 2014 or RWE’s outlook to 2015. Topics discussed during the day included new payment procedures or contractor evaluation. Find out more at the RWE Web. ČSOB mothers receive The best HR project award. Helping parents to maintain their current potential and capitalize on their new knowledge, skills and experience gained by parenting – that is the goal of ČSOB’s Mothers and Fathers program targeted at parents leaving for maternal or parental leave. It offers a wide range of tools to assist returning employees. ČSOB won the HREA – Excellence Award® 2011 at the HR Know How 2012 Conference. A major impulse to introduce this program came in 2008, during the nation-wide boom when some twenty mothers were leaving for maternity leave every month. Today there are approximately 200 parents involved in the program, 120 of them working part-time. Both women and men may apply. They can participate in workshops, receive consulting in trade law, e-learning, coaching and individual approach to planning their future careers. “Education during parental leave and part-time work are the center points of the program,” says the ČSOB Mothers and Fathers Program team member Jana Skalková. She participated in the program herself. She was developing the program’s methodology while on maternity leave, and returned to work part-time when her twins were ten months old. ČSOB's employee magazines and informal meetings help parents stay in touch with the bank and their colleagues. As of this year the program is going to introduce a marketplace of family centers, all that under ČSOB’s Mothers and Fathers Portal available in its own Internet domain. The portal has been implemented by IVITERA, the operators of EduCity, HR News and other Internet portals for managers and HR professionals. Parents logging into the portal receive and overview of training and other events available within the program. There is contact information for various questions they may wish to ask, links to information that is of interest to parents even outside the bank, and a library of expert articles to aid their professional development. “I find the largest advantage of the project in the fact that we do not lose contact with experienced employees who enjoy working. We are aware of the tremendous motivation and commitment shown by returning parents,” concludes Jana Skalková. How useful do you find the portal with respect to company training and education? We have introduced “My EduCity” portal to Česká spořitelna under the title “ACE – A personal development express”, customized it and added corporate branding to make it as easy for our employees as possible. It became part of our intranet and matches the look our employees are used to. They are just a few clicks away from a wide offer of training options. The portal helps our employees find their way around thousands of courses, seminars and conferences on offer. How did the system make your work easier? It makes it easier in many ways. It helps employees find suitable courses by concentrating the offer to a single point, and gives clear instructions how to apply for a course. The Education department saves time they would otherwise spend selecting training events. We refer our employees directly to ACE and once their choice is approved, we simply order their courses for them. How satisfied are you with the portal and how difficult was its integration at ČS? We use it as an electronic catalog of public training events and their providers for all ČS employees. Education administrators can also access custom courses and profiles of companies registered at EduCity. The system was deployed quite easily. It was only necessary to adjust the graphics and the menu layout to match our needs. We already had an intranet where we could just place a link to link to ACE so that our employees could access it without having to authenticate separately. Telefónica O2 Czech Republic has been using My EduCity to register its employees for external training events since February 2007. Starting on January 2009 Telefónica O2 Czech Republic and its subsidiaries will also be using My EduCity to display the full offer of internal courses, integrated with an approval system and with SAP. We chose My EduCity because it is the only training and education system available in the Czech market that has an up-to-date offer of hundreds of thousands of courses provided by the majority of providers while also providing a reliable software solution to support the process to select and order both internal and external courses, and can also integrate with SAP. My EduCity, an electronic catalog of courses and providers, gives us control over the training and education process. We also work with EduCity to tender for providers to deliver internal training. EduCity services help us centralize the offer of both internal and external courses, saving the cost of administration and communication with providers. We are happy with EduCity services and we wish to extend our cooperation in the future.